I recently read a book about shades of grey. No, not that book. 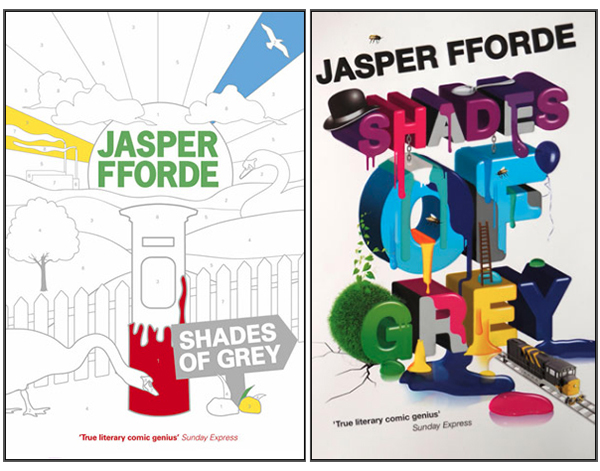 I’m talking about Shades of Grey, a novel by Jasper Fforde, and you wouldn’t have to be ashamed to read this book in public. Those of us who deal in color for work or enjoyment will be entertained by color references at every turn. For instance, whereas we remember Albert H. Munsell as the man who created a system for describing color, the people in the fictional dystopian land of Chromatica remember him as the writer of the Rules, the system by which their society is run. Munsell was a very logical choice of authorities on Fforde’s part because, you see, theirs is a society based on color. In Chromatica, everyone is only capable of seeing one natural hue, and the hue you see determines your place in the collective. In other words, the place of your color on the spectrum translates to your rank in society. Reds, for instance, are three ranks below Greens. Furthermore, those who can see more of the color receive a higher status. The only people lower in society than Reds are the Greys, who can see no color at all, and are therefore relegated to a servant class. 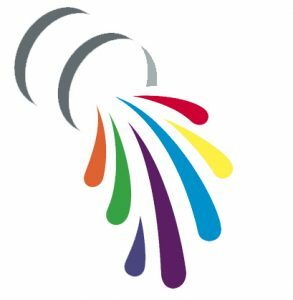 Everyone can see synthetic color, however, which has to be pumped in from National Color. Towns have color gardens where citizens can go to see synthetic color. Poorer towns have color gardens based on the “outdated Red-Blue-Yellow Color Model,” but wealthier towns use the more up-to-date system of combining cyan, yellow, and magenta to produce a wider range of colors. In Fforde’s world, color does more than just make life more interesting. It also has the power to heal. Doctors, or swatchmen as they are called, show swatches of synthetic color to their patients. Depending on the color they choose, viewing these swatches can cure everything from male pattern baldness to an overproduction of earwax. You have to be careful of viewing too much green, however, because certain shades could cause intoxication or even death. Marriage to a complementary color is, of course, strictly forbidden by the Rules. Rather, citizens must seek a mate with whom they can produce offspring to continue their color, or to move the family up the Chromatic hierarchy. People’s last names refer to their color. Fforde had some fun with this, including names such as Floyd Pinken and a Grey named Dorian. This novel is a must-read for color enthusiasts, who will delight in catching all the color references that might be lost to others. I also enjoyed looking up characters’ last names when they were colors I did not know, such as Gamboge and Fandago. We will enjoy more than the average person, perhaps, laughing at a world where “Our Munsell” is something of a god. I have a Munsell color chart on my office door, and it makes me smile a little more after having read Fforde’s book. I was fortunate enough to have the opportunity to ask Jasper Fforde some color-related questions. Here’s what I asked. You’ve mentioned before that you are fascinated by color, and how it doesn’t actually exist. Where did you first learn about color? From something you read? I think so, or something I heard – that colour in itself is not a tangible commodity – out there in the real world, not the one observed by us, there is no colour – simply motion of material. Colour to us is an interpretation of the world, useful for us to make sense of how we perceive it. A sunset is not beautiful, a rainbow is not beautiful, a lorikeet is not beautiful – it is our perception of them that gives them beauty. The sensation known to us as ‘red’ is merely that – a sensation, an abstract concept. And I liked the idea of raising an abstract concept to the guiding factor in a society – to cover healthcare, social order, and the economy. Where did you first hear of Albert Munsell? What made you decide he was the writer of the Rules? Were there any other potential candidates for the job? Researching the idea I came across Albert Munsell, and while not the only person to investigate colour, I think he was the first person to formulate it into the triumvirate of Chroma, Hue and brightness that gives us colour as we know it. He’s got a good name, too. But I could have used another, I guess. I just chanced upon him and thought: This will do. Were you already familiar with colors like gamboge, yewberry, and fandango before writing the book? If not, where did your color names come from? Again, research, and it’s a fascinating subject, giving names to abstract concepts. How could one differentiate between Cardinal and Crimson without having seen them? Or even Flame, Signal, or Burgundy? It was just another aspect of the oddness of colour, although to be honest, what I wanted to do was to give the society a hundred words for yellow – which would be impossible, as no-one reading the book would have the least idea what I would be talking. It was one of the few limits I imposed upon myself. How did you decide which colors would cause or heal which conditions? Kind of randomly, although the notion of ‘The Green Room’ has its base in the room in Pinewood studios where actors were taken in between set-ups, the calming shade meant to rest their eyes. The idea of being shuffled off this mortal coil be a particular shade of green I rather liked – taking the abstract concept to a point at which it can be a mechanism for euthanasia – there was a murderous subplot here somewhere, but I never used it. Fforde hopes to begin work on the sequels in 2019, so be on the lookout for the rest of the series! To check out more of Jasper’s work, go to http://www.jasperfforde.com. Krista Williams is Assistant Professor of French in the Department of Foreign Languages and Cultures at the University of Evansville. In the fall, she will begin as Visiting Assistant Professor of French in the Department of French, Francophone and Italian Studies at the College of Charleston. Her research concerns how colors are defined and translated in dictionaries. She may be reached at krimwill@indiana.edu. 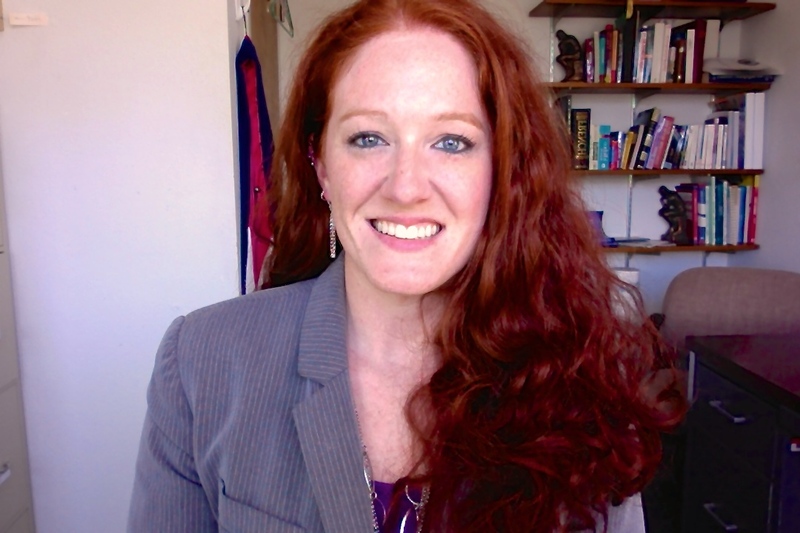 Kristina Hochwender, an Assistant Professor in the Department of English at the University of Evansville, contributed interview questions, in addition to introducing Dr. Williams to the book.